You are behind in the curriculum. The weather hasn't let you have recess in a week. They are messing with their shoelaces, wiping boogers on the floor, drawing pictures on their marker board instead of writing word wall words, asking if it time for lunch, asking if we have already been to lunch, raising their hand to not ask you a question but to tell you they got new shoes....that aren't staying tied, and they are asking if it is time for lunch. It is only 10:00 in the morning. There are so many things that happen in our lives that we have no control over. There are situations everyday that we go through that are stressful, sad, boring, draining, exciting, frustrating, irritating, happy, and so many more that put us on an emotional roller coaster. As I began learning about Conscious Discipline around 5 years ago, this book gave me hives and an upset tummy. And I'll be honest with you, I cried because this book shook my world up and basically said that so many things I was doing and had been taught in college to do and say were wrong. WRONG and actually the reason WHY many behaviors were happening. I would say before I read this book that I had very good classroom management skills. When I had observations and appraisals, my ratings were always excellent...ugh, that is hard for me to even type! I have never used any of the color changing or clip moving type of systems. I have never been one for yelling or really even raising my voice. I really didn't even use bribery or threats about losing recess or other things (but there are times when those are discussed as consequences). So, I really didn't except this book to turn my world upside down, earthquake split my brain apart, and tornado twirl my heart around where I was not sure where to stand anymore. All of those aha's for me reflect the need for me to have patience. Daily. Moment by Moment. I cannot control the child or sometimes even the situation. What I can control is how I handle it. If I am to be the example that I want others to become, I need to be loving and patient. I know I won't be perfect. I will make mistakes, raise my voice, or react too quickly out of frustrations or anger that I allow myself to feel and react to. When this happens, I always try to apologize to my kiddos. I tell them I am sorry for speaking harshly when I was feeling frustrated. I ask for forgiveness from my kiddos. This is something I have done even before Conscious Discipline. This poem popped into my heart and onto the paper in about 5 minutes. Seriously. God puts the words on my heart. I am going to post this in my classroom to remind myself to have a Heart of Patience. I am joining a linky party and thought that this would be a great post to share on the link. Here is the poem that I would love for you to read. I pray for my heart to be a heart of patience. Thanks for sharing! That was beautiful and always important to remember through all the stress. This looks like a wonderful summer read! You have me interested! You're kiddos are so lucky to have you! I'm going to have to read this book. I have a copy now that we've had the intro to Conscious Discipline. My biggest AHA in that training was reframing "that kid just needs attention" to "that kid just needs connection!" Connecting with them is KEY! LOVE your posts, and your heart! I finally made it over here to see your blog and thank you for all the wonderful suggestions. I will look at all the great activities. I am always so over programmed and report cards for 31 kids is a bit much for this old lady! I think I would be friends with you. I am always stressed and anxious and you would remind me to stop and smell the roses. wow I am going to get that book. Thank you so much for sharing about it. I need to do some major reflecting! 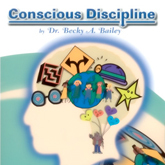 Every time you talk about Conscious Discipline, I want to learn more about it! I think it could be just what we need... thank you for continally reminding me to check it out! Also, I laughed when you mentioned the kids asking when it's lunch or if they've already had lunch. Story of my life!! I always love reading your posts. They are filled with so many "Ah-ha" moments! Great post! I want to buy this book. What a great lesson for us all and a GREAT poem! As always, I appreciate your honesty. Your posts always touch our hearts and help us reflect on our own teaching practice. As I read your newest poem, I thought about how it not only applied to us as teachers, but also as wives. Thank you for sharing your heart with us. P.S. I am very interested in reading this book, but also very scared!!!!!! Amazing, as always! Thank you for sharing! You have just answered a prayer. I was just explaining to my fiance that I felt as though I had little patience today and I was sad with myself for being so quick to get frustrated. Thank you for your poem. I just e-mailed it to my work to share with my staff. Love your poem, Heather and love your blog. Teaching is a hard job and some days are better than others. I will be sharing your poem with my colleagues. Thanks for sharing. Thank you do much for this post. You have no idea how much I needed this today. Plan to check this book out. THanks for sharing. So much of what you said I can relate to. The closer to the end of the year we get the harder things seem to become. THanks for the sweet reminder to be patient. You always share the most timely messages! Thank you, again, for the reminder to be patient and loving. My favorite point from this post was: Children are either extending love or calling for love. I needed to hear that. Thank you! Thanks for sharing your heart with others and taking time to post on my blog. Your website is amazing! I'll definitely be back. I LOVE reading your blog posts! The always give me the best chuckles! I bet your class of firsties laught a lot! Gotta love our TX kiddies. Keep the posts coming....thinking of propping my feet up with this good read this summer. Thanks for sharing! what an encouragement! thanks for sharing, girl! Thank you so much for following my little blog! I was so excited to see a fifth member! 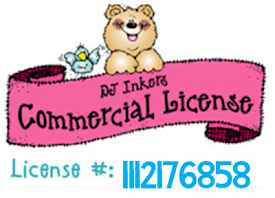 :) It is pretty plain right now, but I am working with a blog design company so hopefully it will be cute soon! This book looks great! I will have to read it over Spring Break. Thanks also for the St. Patrick's Day activities. I've been hearing a lot about Conscious Discipline lately. I think I'm going to have to check out the book. We sometimes forget how our words affect our students. Thanks for reminding all of us to practice patience. I will have to check this book out! It is hard to watch how some of the teachers in my building treat out students. It isn't right or fair to be treated that way. Hi Heather- Wow! I can't wait to get a hold of this book. Whoops...I forgot to fix my spelling...recommending! Great book suggestion! I am your newest follower. I look forward to reading your blog! This is so true and I love the poem! It's amazing how quickly the kids can get under your skin if you let them. Every time this happens I just sit down one on one with a student and listen to the read or work on whatever assignment there are and it reminds me of the good they all inside! Here I am, your newest follower :) very insightful! I just saw the author of Conscious Discipline speak at a pd several weekends ago. She was so incredibly inspiring! I'm trying to get our admin to send us to Florida this summer for her conference. :) Great reminders, it's been a tough year for me in that department- thanks so much for sharing! Heather, thanks for stopping by my blog! This is such an amazing post with such a powerful message. :) I am so inspired by your warmth and positivity! Your blog is fabulous! i wish I was in your classroom! Thank you so much for your positive words and reminding us to slow down and think about what is really important. I have thought the same thing about how maybe it's me and how could I change myself to adjust to the situations around me! Thanks for sharing! 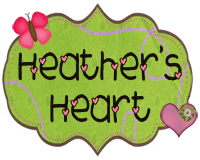 Well Heather...I finally got a chance to stop by your blog and I am sure glad I did! You have some very insightful thoughts. I love the poem that you wrote. I too have some of the Shubert Books! The kids do seem to really respond well with them. I have not read the Consious disapline book yet but am inspired by your blog to do so. 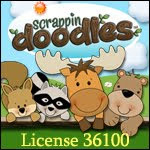 Thanks again for stopping by my blog, coconutcutiesclassroom.blogspot.com. I am now one of your newest followers. Dont't forget to keep stopping by the rest of this week for more freebie fun! wow, boy did I need to read this tonight. I have had one of my hardest afternoons today. Thanks for starting to follow me on my blog. It led me here, today of all days. Thank you so much for following my enchanted ladybug blog! Your blog is just wonderful! 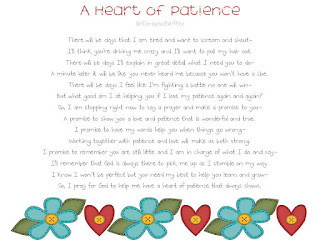 I homeschool my 2 daughters ages 4 and 7 and when I read your Heart of Patience poem it really hit home with me! I will forever keep this in mind as we go on our daily journey of learning! Thank you! A lovely post, Heather. I think I'll look for the book. Thank you! I am typing a post as we speak! I miss you! ...you can come to my room anytime....I want to spend a day with you period!! Maybe we could call it professional development? I know it would help me a ton! Thanks for keeping a watch out for me and waiting on me to get back! Love this post! It is all SO TRUE. I can't wait to check out that book. Thanks so much for sharing. Your sweet words always brighten my day. You are amazing! OK...now its me that is stalking and commenting! :) We are two peas in a pod! I gave you an award because I can't believe you dont have every one of them already! I love you and you know it! I'm definitely going to look for this book! I sometimes have trouble managing behavior because I am not great at being "strict"... so I'd love to read about a new way of keeping order in the classroom! LOVE your poem Heather! Annie and I just did a radio program on patience a week ago and this fruit of the spirit is the most challenging for most educators and parents. We all want more of it. Your poem is very inspirational. Hello Heather! Thank you for following our blog. We are now following your blog and love it! Wow, that was really beautiful. Thank you for stopping by my blog so that I could find out about yours! I'm printing this to hang up in my classroom!! I love your blog. 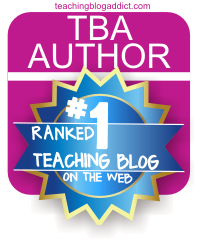 First grade teachers always seem to have great blogs! The book sounds like a terrific book to add to my summer reading list. Thanks so much for stopping by my blog. It is always exciting and amazing when someone finds it and writes a comment. I have only just starting blogging this year. Very, very inspirational! I just placed an order for this book after reading your post. I am part of an action research team that has spent the last two years finding ways to teach kids about emotional literacy, especially anxiety. Thank you for always being so positive and uplifting. I love reading your blog. Heather, thank you for sharing your beautiful poem and the thoughts behind it. I have to admit, I think I'm afraid to read it. I am afraid I will have a lot of guilt. Like you, I have tried over the years to be a nurturing teacher and have been told I am. But I think the stress of the past year has caused me to lose sight of the real reason I am in that classroom. Afraid or not, I am going to read that book...but it's going to have to wait until summer when I won't crumble when I do. I forgot to mention what I came here to write, THANK YOU for visiting my blog and leaving a comment! Heather, I just tried to add your button to my blog and it says the image has been moved or deleted. I just thought you'd want to know. Heather I love your words. I agree totally with what you write and thank you for the poems. Did you purchase anything else from the CD website? I am trying to implement some of this a little at a time when I read what you write. I was so star struck to see that you wrote on my blog! ;) Not only do I have your blog saved on my computer tool bar for easy access but it is also saved on my iphone! Thanks for the sweet comment and follow over at my blog - Heart Tugs. I am so glad your stumble on my blog lead to me stumbling on yours! I love your poem and am already grateful for its reminder to remain patient with my little ones - especially the week after spring break! Thank you so much for visiting my blog Heather! It is amazing the resources out there. I am now a follower and I cannot wait to learn from you! Thank you for stopping by my blog and leaving a comment! I am currently going through the new education program and we have many discussions about guidance over discipline in regards to social emotional development. If you enjoyed "Conscious Discipline", you will LOVE "The Power of Guidance" by Dan Gartrell. It's excellent and will..once again..change your thinking! I like that quote... "No one can make you angry without your permission." Good one! Hey Heather! You are so great! I love your posts, they are inspiring...thank you. Speaking of patience, I'm thinking about next year already. I would love for you to join in my linky party and share your ideas. Thanks for your kind words! I am so looking into this book. I was just wondering if I would ever get followers outside of my friends "who know me" & then you commented - made my day...thanks for that! Hi Heather! Thank you so much for your warm words..I have definitely been to your blog before and I think used some of your freebies--so thank you! I have never heard of the book you speak of in your post..I'm very intrigued and inspired by the ideas in it (standing up for yourself, being assertive, etc.) It is encouraging to know dedicated, incredible teachers like you are out there serving communities in need. Hey Heather! You mentioned on my blog that you might be able to help me figure out how to upload files so that people can download them from my blog. I know you're probably busy, but when you get the chance, can you please help me? Sorry, I would have emailed this to you, but couldn't figure out how to contact you by email! Thanks for your help! I love your blog and the sweet notes you leave on mine! I wanted to award you with the Lovely Blog Award! Check it out on my blog! I love all your blog posts regarding Conscious Discipline. It has made a big difference in the focus of my teaching and helped with the language I use in the classroom. I'm currently setting up a Kindergarten class that will start in a few weeks (here in Australia) and have been setting up a 'we care bag', a 'safe place' and various routines I have gleaned from you. I want to add 'jobs' processes. I notice that you have several jobs: encourager, cheerleader, greeter, goodbye wisher, kindness recorder, and absent student helper. I am wondering if you could let me know the other 'jobs' you have in your classroom? And what would be the first 3 jobs you introduce? Today my class was chatty and fidgety and all I thought to myself was "No one came make you angry without your permission." Thanks for reminding me to be patient! It made a world of difference today! I regrouped and had an amazing afternoon with the kiddies! The poem is so sweet. Thank you for sharing! It's so important to remember to have patience and that they're just little kids yet :/ I always have to remind myself this when I feel like I'm about to rip my hair out. I'm gonna buy this book too you suggested! *Children are either extending love or calling for love(help)- I truly believe this!!! I LOVE LOVE LOVE your poem! I'm going to keep that in mind these next few weeks. Thanks for inviting me to see your blog..I'm your newest follower! Thank you so much for your kind comment on my blog. I enjoyed reading this post. It just so happens that this is EXACTLY what I needed to read tonight. Thank you for sharing! Thank you for visiting my blog! I am so happy to have found you! This post was just what I needed tonight. I plan to print out your poem to help myself through those moments of frustration so that I can be a better version of myself. :) Thank you for your insights! Great post, I love your honesty and I always think about how I react to situations in the classroom and honestly it bothers me when I get frustrated. Wow!! I clicked over from your comment about being a new follower and just quickly perused your page as I'm on my way out the door to my 5th graders! I fell on this post. There's a post it note in my bag that now says "Children are either extending love or calling for love." What better thing for me to do than to respond to that :) Thanks for the Wednesday encouragement (and for following my blog!)! Happy Wednesday! Caught this post a little late, but thank you so much for posting this poem. I have a little who is seriously trying my patience! I will think of this poem and get through the day tomorrow, so thanks! Thank you for your kind words on my blog. I will absolutely be following your posts. This poem is amazing and hit very close to home as this last week just ended with my kiddos. AHHHH! :) I don't know how we can do we what we do without God's guidance. Bless you! I look forward to reading more from you. Thanks so much for commenting on my blog and for being my first follower! I have 8 more days of school left and then I am planning on getting my blog up and running. I love your blog and thank you so much for offering to help me out. I am sure that I am going to need lots of help so I apologize in advance if I ask you a million questions!!! I printed off your lovely poems. I am going to share them with my co-workers. I think that we all need some words of encouragement to make it through these final days with our kiddos! Your poems were very inspirational. Great work!!! Hi Heather, Thanks for reminding me to remember where people come from. As I was getting cussed out by a mother with intelligence of a 2nd grader, it was all I could do to walk her to the office of our super small school and hold my tongue. As a 39 year old woman and mother myself...Had the luxary of calling my MOM. She said "hon, you have to remember where people come from, and this lady reacted in the only way she new how and what she has lived..." "remember how lucky we are to have the life we have, because you can look over your sholder and find someone who is not so lucky." I love my mom...and this just reinforced those thoughts. Awesome post, Heather! I'm putting this book on my reading list for school. I totally agree with your philosophy and understand your frustrations!! I'm following you back!! Thanks for the sweet comment. Thank you for sharing your creativity. :) This poem says so many things I feel. I start the year doing well, with lots of patience, and then...halfway thru...it is sometimes hard to take that deep breath and smile. Thank you for sharing your poem--I will print it and keep it in a special place to help me remember my soft heart. This just about brought tears to my eyes! Thanks so much for this, Heather. You are not only touching the children's lives but a large amount of teachers' lives as well. I hope you don't mind, but I copied your poem on my blog -- I need to read it every day! !